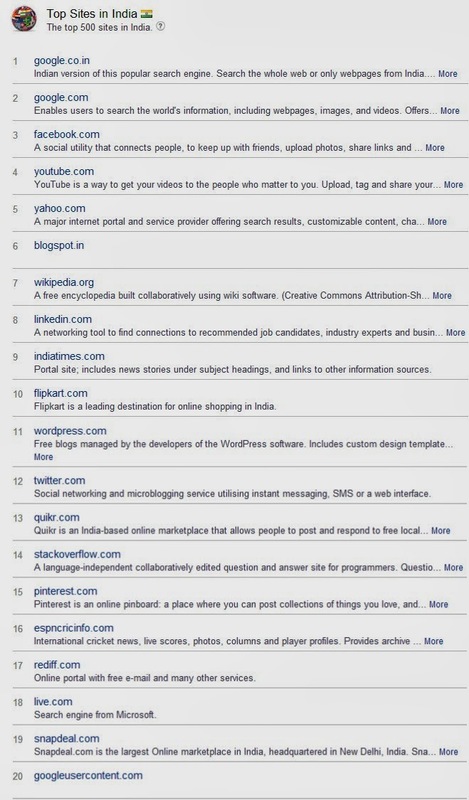 Here is a list of top visited websites on the Internet. 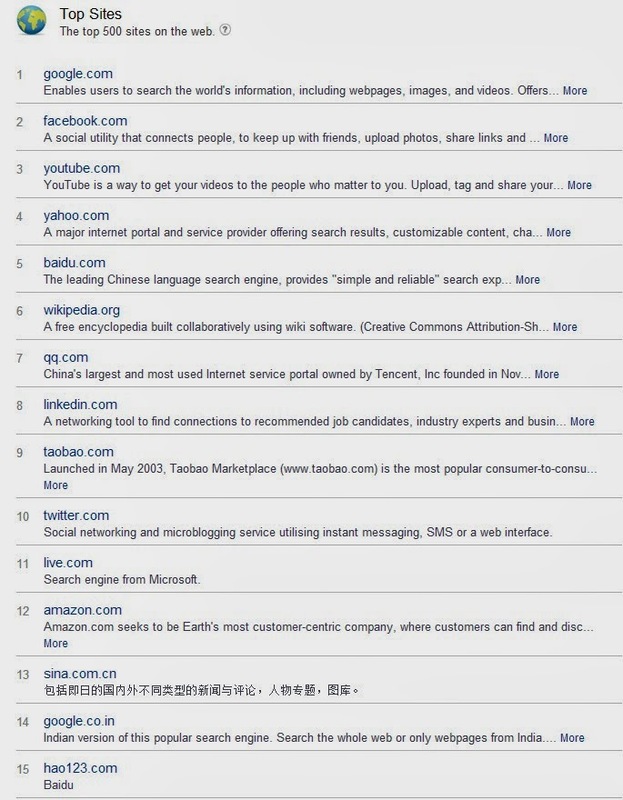 The rankings are provided by Alexa, a California-based web traffic tracking subsidiary company of Amazon.com. You can get more information about the company here. 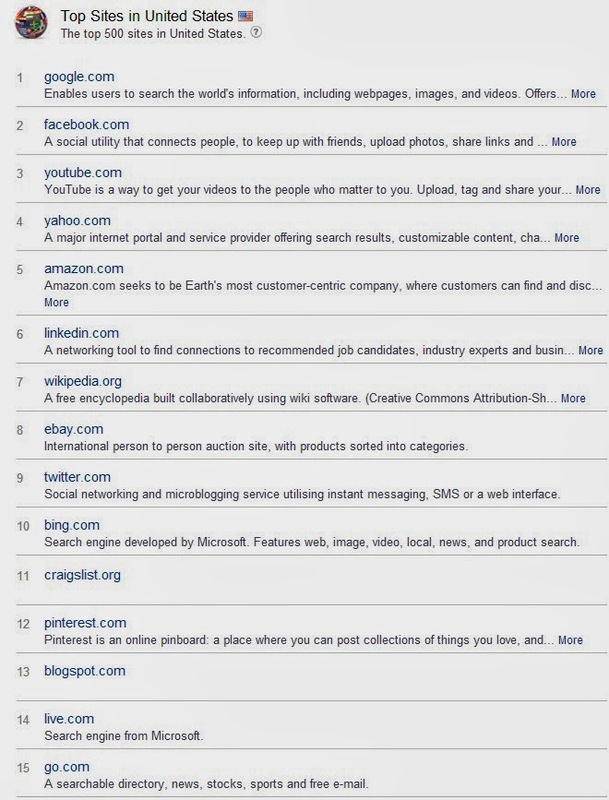 No wonder facebook.com is placed above all others, except google. Now a days most people in India know facebook but not google :). I am happy to see flipkart.com in there, way ahead of others, also snapdeal.com at 19th, more people are starting to buy online, hmmm good!! But, no sign of ebay.in or amazon.in within 20. Nice to see stackoverflow.com there at 14th rank, so I expect to see more Indian bros and sis asking and answering questions in there. Also a bit surprised about indiatimes.com in there above rediff.com, I always preferred rediff - it always looked more polished compared to the former. Compare the position of blogspot for India and USA. Indians seem to get more into blogging compared to the Americans? ?